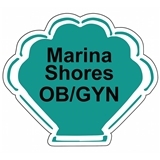 Marina Shores OBGYN/ Virginia Beach Urogynecology (Virginia Beach) - Book Appointment Online! Lani Warren, MD received her Bachelor of Arts degree from University of California, Berkley. She received her Medical Degree from the University of Minnesota Medical School. Dr. Warren completed her residency at Santa Clara Valley Medical Center in San Jose, California. She is Board Certified in Obstetrics and Gynecology. Dr Katherine Leigh Hilsinger received her bachelor of science degree from Antioch College in Yellow Springs, Ohio. She received her medical degree from the Medical College of Ohio at Toledo. Dr Hilsinger completed her internship in OBGYN at Kaiser Permanente in San Francisco. She completed her residency at Santa Clara Valley Medical Center in San Jose, California. Dr Hilsinger is double Board Certified in Female Pelvic Medicine and Reconstructive Surgery and Obstetrics and Gynecology. Dr. Warren has excellent bed side manner and goes above and beyond to help with whatever issues you may face, if she doesn't have the answer then, she researches, I tend to need special attention and with her I'm guaranteed it.